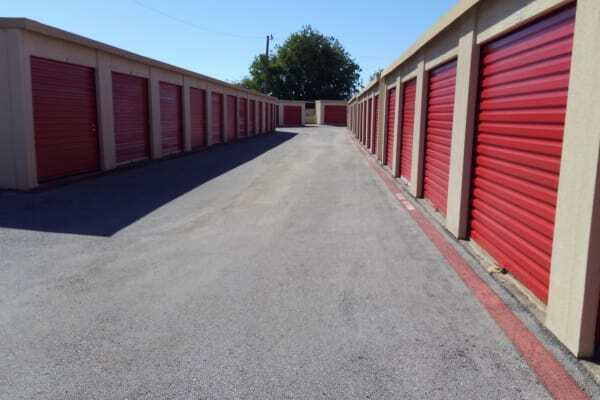 StorQuest Self Storage in Fort Worth, TX, takes the pressure out of finding a space to accommodate all of your self storage needs. Not only do we rent small, medium, and large storage lockers to Normandale area residents, we also offer outside parking spaces ideal for RVs, boats, automobiles, and motorcycles. Our facility offers a number of conveniences including month-to-month leasing options, parking spaces with outside access, and discounts for military and seniors. You can purchase boxes, locks, and moving supplies right in our leasing office. Our facility is equipped with a number of security features including 24-hour security monitoring and electronic gate access. Your self storage experience will be comfortable and easy with StorQuest Self Storage in Normandale, TX. At StorQuest Self Storage in Normandale, we're here to make self storage as painless as possible. That is why our friendly staff are on site to help assess and solve your self storage needs. We also offer access to your residential or commercial unit 24 hours a day, 7 days a week, so you can access your stored items when it’s convenient for you. Our services are designed to provide everything you need for a successful moving or storage experience. With units equipped to store everything from files to furniture, you can depend on StorQuest to have the right solution for your unique situation. For more information on our friendly staff and convenient features, contact our leasing office today. We can’t wait to help you get organized.